Over a successful 15 year legal career litigating for – and against – some of the largest companies in the country, Andrew has developed deep insight, from both sides, into the processes of bringing cases to trial ... and winning. This insider’s perspective brings big firm expertise within reach of individuals and small companies, helping clients launch effective suits, even against seemingly insurmountable odds. 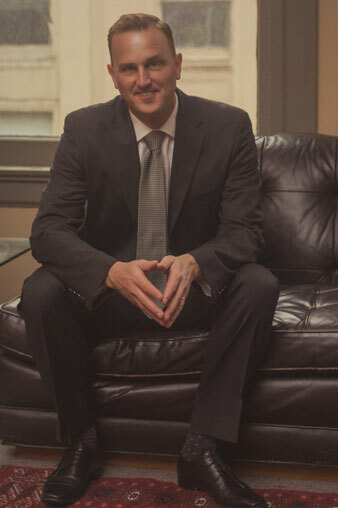 Through accessibility, attention to detail and tenacious advocacy, Andrew can help you define the particulars of your case in the most effective way to present to a jury, or negotiate the out-of-court settlement you deserve. Your lawyer needs to be on the ball at all times. Andrew accepts a limited number of clients to ensure uncompromising dedication to every client’s case and ensure the best possible results. He will help you define realistic best-outcome goals, develop a winning strategy, and ensure you’re fully informed throughout the process. Mystery has no place in law. Your case is unique. Best results depend on intimate familiarity with every nuance of your position. Andrew takes the time. There will be obstacles. Andrew taps deep knowledge and a broad network to identify them, clarifying your precise position. With your goals in mind and working closely together, you’ll devise a clearly defined plan for moving toward the win. Andrew works tirelessly and adaptively, taking every legal action necessary to push toward the win you deserve.